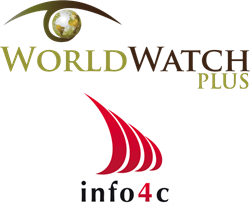 International Screening Solutions, a leader in near real-time data for global sanctions, PEP and adverse media, has enhanced its WorldWatch Plus PEP data offering with PEP Desk™ from Info4c. The availability of these products will give ISS clients options to use the best product for their use cases, whether in regulated or unregulated settings. International Screening Solutions, as part of continuously enhancing its WorldWatch Plus® global sanctions, PEP and adverse media search platform, has partnered with info4c of Zurich, Switzerland, to include data from their PEP Desk™ product – an industry-leading compliance tool for identifying politically exposed persons as defined by international regulators. The PEP Desk™ database of politically exposed persons, their family members and close associates, as defined by regulators around the globe and the PEP standard of the international Financial Action Task Force (FATF). PEP Desk™ includes current and historical PEP information in the categories important for international compliance with identifying PEP customers for risk-based banking, insurance and corporate governance applications. A GOV search option with access to more than 1,300 publicly-available government sites with information on current government and political officials. The GOV product refreshes searchable data every day from publicly-available sites, reducing the latency period associated with a database solution. In some cases, these sites also contain historical and relational information. Searches using the GOV product will return results with near real-time identification of current government officials. "The availability of these products will give ISS clients options to use the best product for their use cases, whether in regulated or unregulated settings," said Ken Kunsman, ISS Chief Marketing Officer. "We are thrilled to be partnered with info4c, both because of the strength of the product and the alignment of our commitments to quality and customer satisfaction." International Screening Solutions was founded in 2007 to provide global background screening and due diligence services. ISS launched the WorldWatch Plus platform in 2015 to automate gathering current sanctions, black list, adverse media and political exposure information, used in corporate and financial risk programs to prevent money laundering (AML), terror financing (CFT), bribery and other social crimes. info4c was founded in 2002 to provide compliance specialized and customized information to financial institutions. Since then, info4c has expanded to serve thousands of customers worldwide in all sectors and industries. Staffed by Compliance experts, risk managers and lawyers committed to “Swiss” quality solutions, info4c supports a global network of more than 100 alliances with intelligence experts, lawyers, publishing companies and IT conglomerates, and worldwide research & analysis covering more than 25 languages.